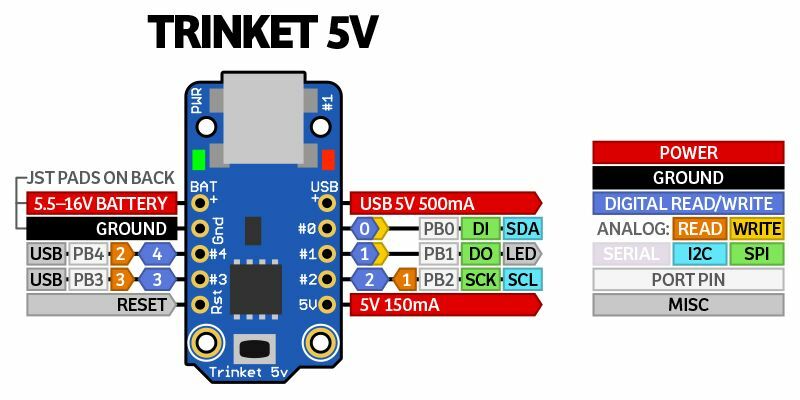 You can find two versions of Trinket board: 3V and 5V. The only diference between them is the operating 'logic' voltage. 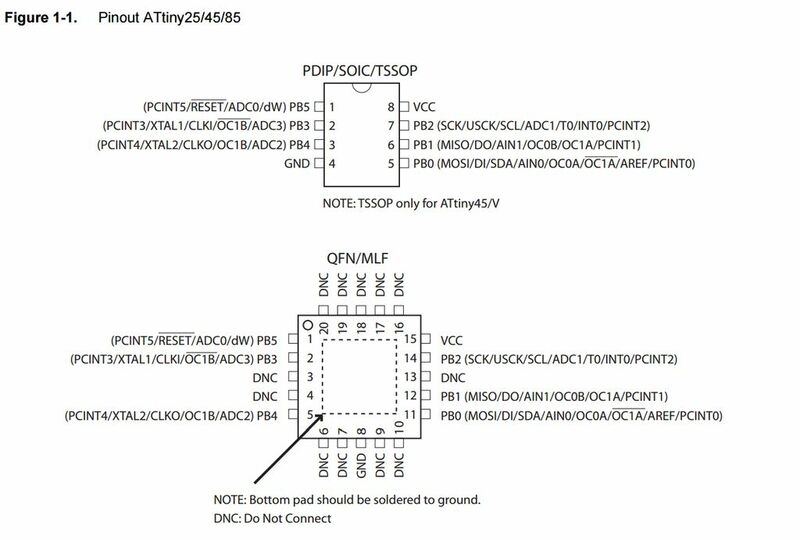 Click here and download the zip file by clicking the green box "Download Signed Adafruit Trinket/Gemma Driver". Now you have to go on Device manager, find Other devices, double click on Trinket, "Update Driver Software" and then click on "Browse my computer for driver software". Find the folder that you have unzip the drives package and click next and install. 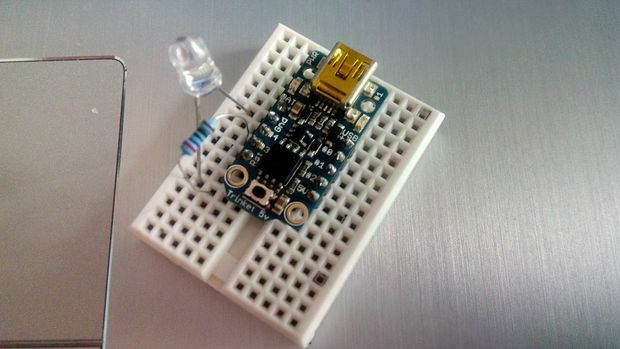 Connect the Trinket board with your computer, select "Adafruit Trinket 8MHz" from boards menu and leave as it port selection. 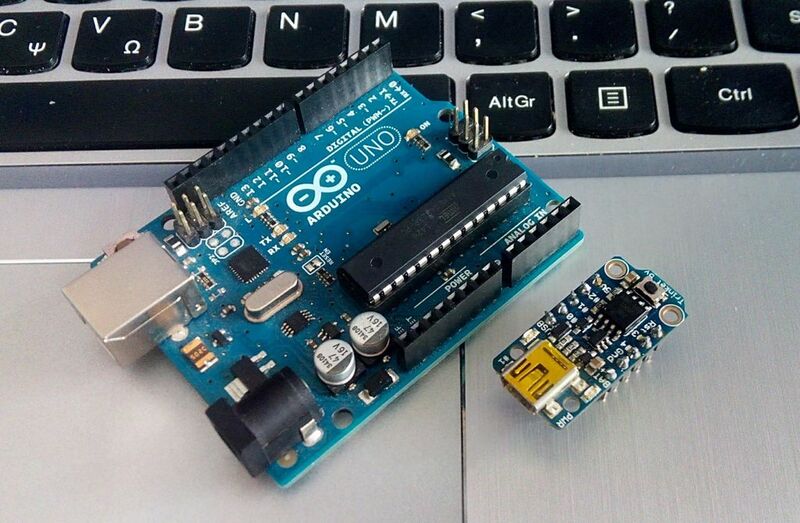 Now click the "Run on Arduino" button. That's it, you've programmed your Trinket board with blink sketch! You will see your LED blinking every 3 seconds. You can keep playing with that by clicking the "Edit" button and start making your own modifications to the code. For example you can add a second led or change the delay time. 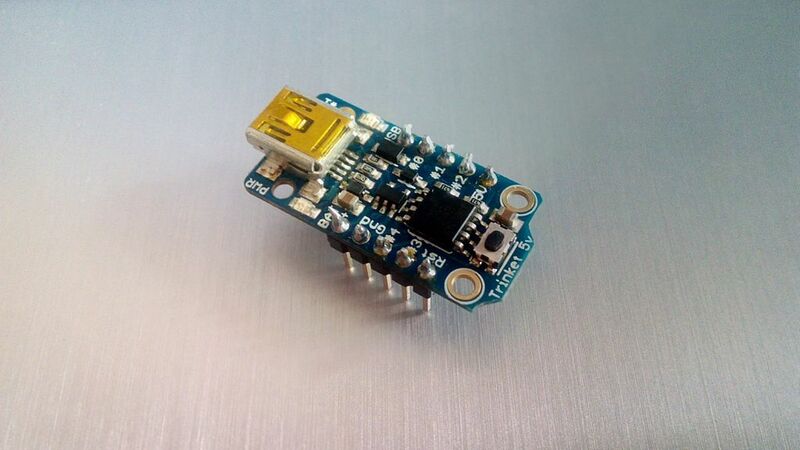 You have successfully completed one more "How to" tutorial and you learned how to use the Adafruit Trinket board with Codebender.